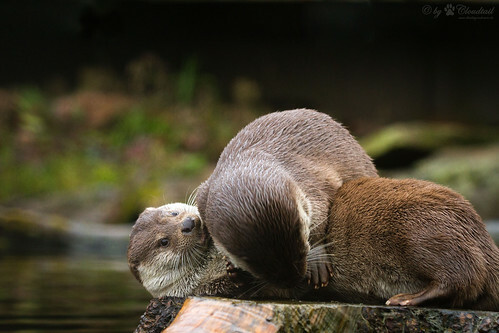 Our Open Thread this weekend is hosted by the Otter Belly-Flurf, courtesy of Cloudtail on flickr. Today in history: Romania declared its independence, Victoria Woodhull became the first woman nominated for President of the USA, Nazis staged massive book-burnings, the UK invaded Iceland, Nelson Mandela was inaugurated as South Africa’s first black president, a fire at the Kader Toy Factory in Thailand killed 156 workers, John Scalzi was born, and Gulumbu Yunupingu died. Conchita Wurst should be nominated for the mainstream pop culture equivalent of the Tiptree. Superb contribution to gender questioning! I suppose Eurovision will have to do instead. I’ve never been tempted to wax, either. I have occasionally used Veet on the oxters, or shaved my legs, but the latter is a pointless hassle (I don’t have bare legs in summer anyway) and the former just leaves me even sweatier and more uncomfortable, so there’s really not much point. For the overall weight, when the patriarchy (internalised or not) can find a way to make skin shrink rather than wrinkle, maybe I’ll be interested in losing some; until then, I’m sticking with the smooth stuff even if there is a lot of belly under it! Weird thing: just put my rings on the other day and they were tight. None of my clothes is, but my rings … how the heck does one gain weight purely on the fingers? Oh and here’s a snap of Mr K and me at the Field Museum, in front of the famous Sue. Forgot to add, the idea of removing any of my pubic hair, by any method, gives me the screaming horrors. Lovely photos kittehserf. Do you get attacked if you try to rub kitteh’s soft belly? Kittehserf, if only your rings are tight, but not your clothes, it could be swelling, not weight changes. Arcadia – you’re right, I tried my rings on this morning and they fit. No idea why my fingers should swell up like that, they’re not in the habit of doing that. I had some good news today – Centrelink accepted my application for a carer’s allowance. It’s only $118 a fortnight, but they’ve backpaid it, and every little helps while I’m job hunting, not least since I won’t get Newstart till July. Had to google ‘oxters’. Am I going to be banninated if I reach a certain level of cluelessness? Only waxed arm pits and bikini line once evah. The ensuing ouchiness has lead me to practice single blade razors, sorbolene in the shower and boyleg bathers. I am still cross with the internal patriarchy, though. I worked with a woman who never shaved anywhere and wore short sleeved dresses. I was so emulous. (That’s a word where I live. )I have always hoped the girls she taught ( who were REALLY challenged by her lack of shaving ) were able to make un-patriarchy biased choices because of her. Ten years after replying to the question “do you have a boyfriend?” with “No, I don’t have to keep one” I was informed the girl who asked felt free to be single, and had a lack of anxiety on the subject. Clearly, I need to walk into work Monday hairy. Has anyone read Piketty yet? The summaries I’ve been reading, both pro- and anti-, make me feel like he might well be my sort of economist, but that makes me a wee bit wary with regard to critically thinking my way on it. Have only read the reviews and summaries of Piketty. I have ben thinking of him as a bright left-wing spark in an otherwise hideously nigh-on-fascist world. Haven’t got the energy to read anything critically. When my liver fails, I will be blaming the patriarchy. My impression so far is that the book may well be a possible shifter of some Overton windows, which is exactly why it’s getting so much pushback as well as so much praise. Vale Sebastian, prince among cats. My sympathies on the passing of your fur friend, Sunless Nick. They leave such a gap behind them. Sorry to hear of the loss of Sebastian SunlessNick. (((Hugs))) if wanted. Thankyou, tigtog and Mindy. He died in his sleep in one of his favourite sunbeam-spots, as far as we can tell, so there’s that at least. Oh that Piketty. Okay, so I have heard of him. Hugs if you want them, SunlessNick, I’m so sorry.